Bagby, Arthur Pendleton, John James Ormond, George Goldthwaite, and Henry Churchill Semple, eds. The Code of Alabama. Montgomery: Brittan & De Wolf, 1852. Martin, John M. The Senatorial Career of Arthur Pendleton Bagby. Alabama Historical Quarterly 42 (Fall & Winter 1980): 124-56. 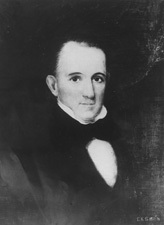 Watson, Elbert L. Arthur Pendleton Bagby. In Alabama United States Senators, pp. 42-44. Huntsville, AL: Strode Publishers, 1982.